the instructions on the hair dye say to wear gloves. and, you know, all instructions happen for a reason. they really do. they're not superfluous. so sometimes, i have to do what the instructions say not to do so that i know what the reason is. i think this is a problem. i need to try to remember the whole "not superfluous" thing. 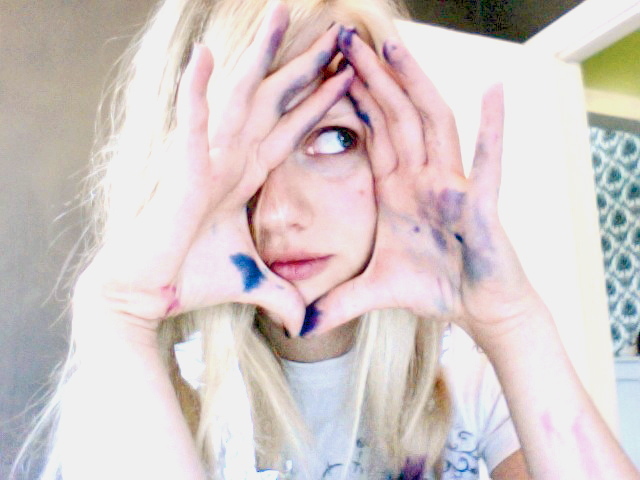 but, in this instance, i don't mind a little dye on my fingertips. in fact, i think it makes me look a little bit like a mermaid. i imagine mermaids have purple, pink, and blue fingertips.